On December 28th, 2016, Falcor, an 11 year-old Lhasa Apso mix, came to Dutton Road Veterinary Clinic for an emergency exam. 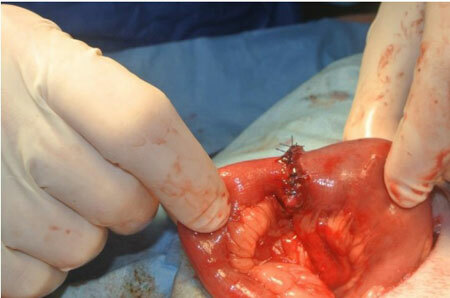 He had been vomiting for several days, and an ultrasound the day before showed an object stuck in his small intestines which was causing a complete blockage! 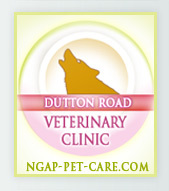 Falcor was quickly examined by the staff here at Dutton Road and it was obvious that he needed immediate surgical intervention. His surgery was planned for that morning. 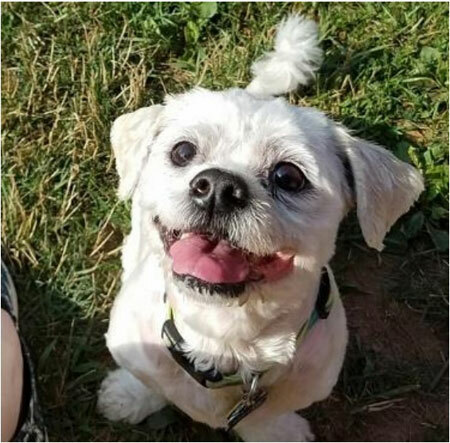 Falcor′s owners were terribly worried about him- not only was he a beloved member of their family, but also a therapy dog in their community. 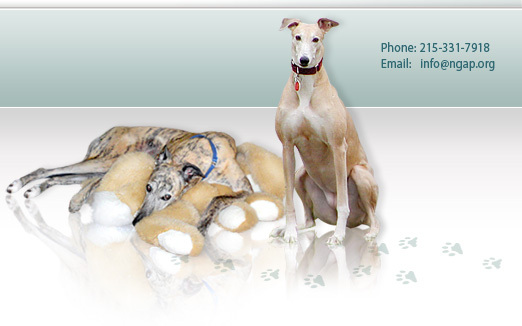 Falcor was started on antibiotics, anti-nausea medication, and intravenous fluids before surgery. He was then transferred to a surgical suite, put under anesthesia and the veterinarian opened his abdomen to remove the material blocking his intestines. 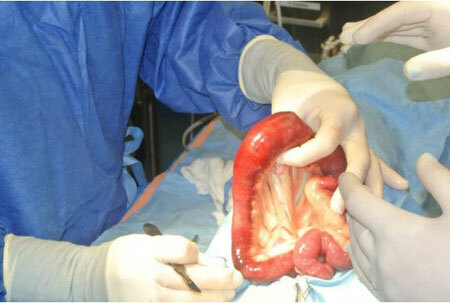 Once in his abdomen, it was clear that there was a lot of very unhealthy intestine that would need to be removed. 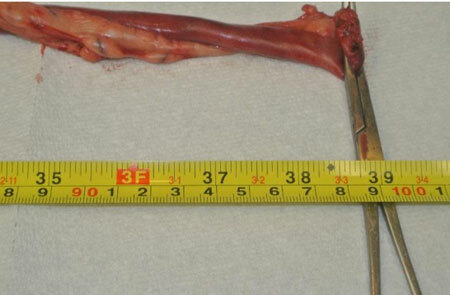 In fact, it was found that nearly 3 feet of his bowel was dying (approximately 75% of his total small intestine.) Because of the severity of the situation, Falcor′s owners were called during the surgery to let them know that, even with surgery, he may not make it, or may have permanent intestinal issues afterwards. 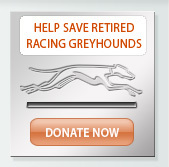 Faclor′s owners did not hesitate to say, "We want to give him every chance he has!" and elected for us to proceeded with the surgery. 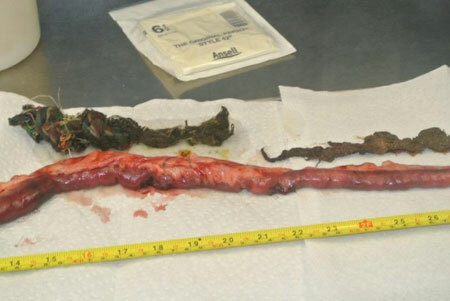 A large rope toy was removed, along with 3 feet of bowel. 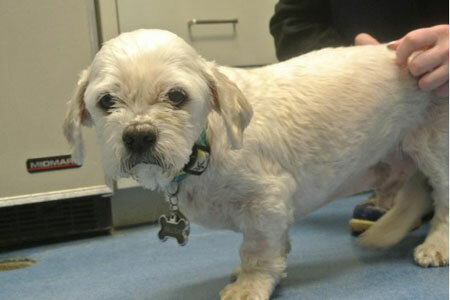 Following surgery, Falcor made a rather miraculous recovery. Although there were a few bumps in the road during his post-operative period, his dedicated family gave him the best possible care at home and kept him on the road to recovery. He is now back to his normal daily routine, which includes his job as a therapy dog in nursing homes and schools. He is truly a success story, just look at the facial expression from beginning to end.